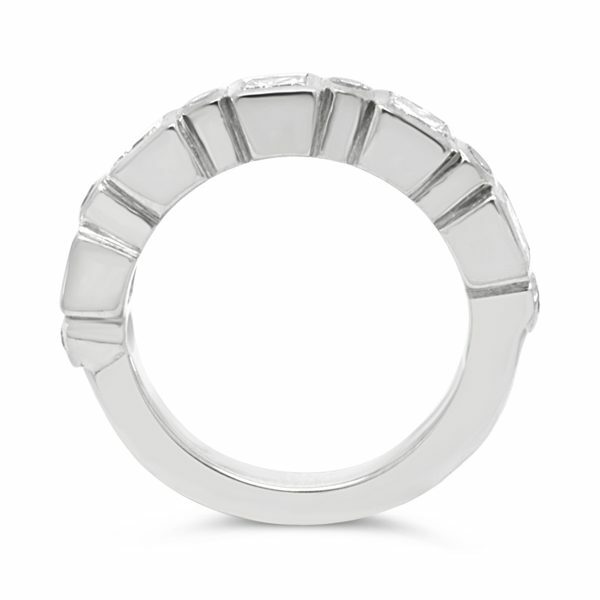 An unusual Contemporary Eternity Ring. It features alternating 3mm square Princess cut diamonds. 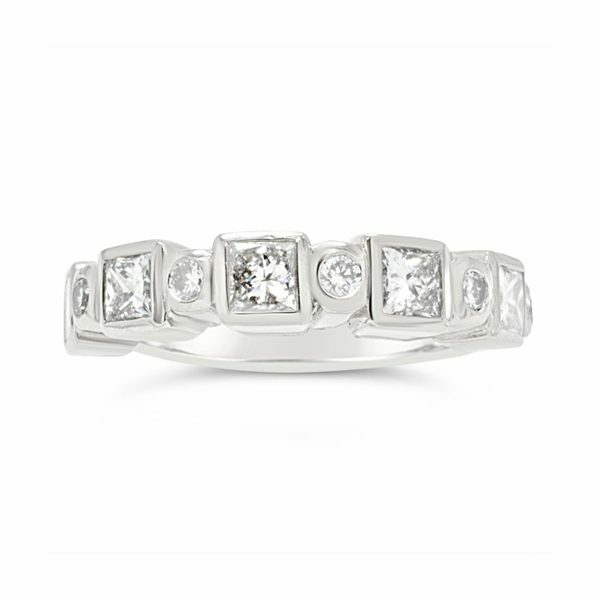 2mm Round Brilliant Cut Diamonds are set between them. 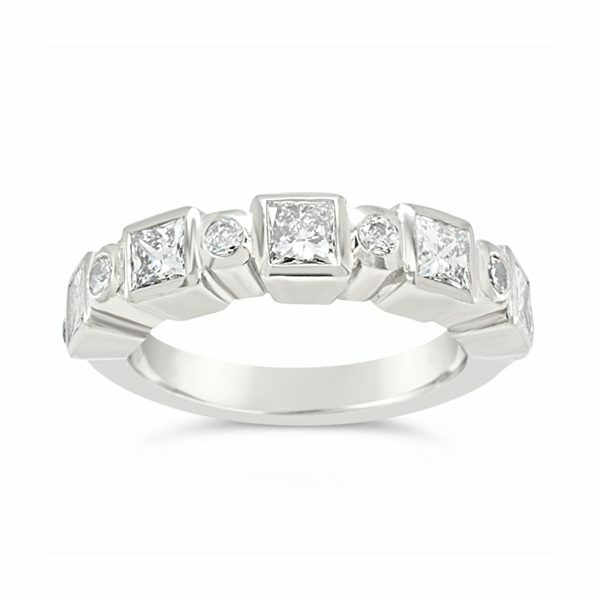 The ring pictured is in platinum with an approximate total carat weight of 0.92cts of FVs diamonds. It is also available in 18ct yellow gold. Other gemstones are also available. Sapphire, ruby, aquamarine all look lovely in this contemporary hand made setting. 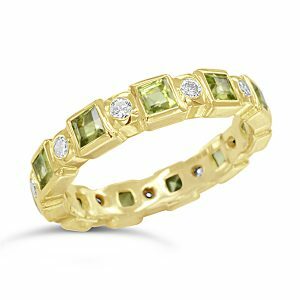 Order your Contemporary Eternity Ring today. It will be hand made in our Sussex workshops within four weeks.